Cherry Creek Systems provide more than just simple sprinklers. 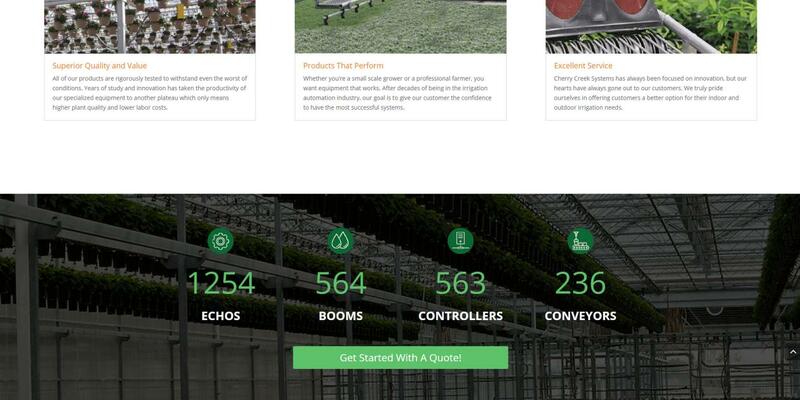 They are becoming a household name in the entire greenhouse irrigation industry. 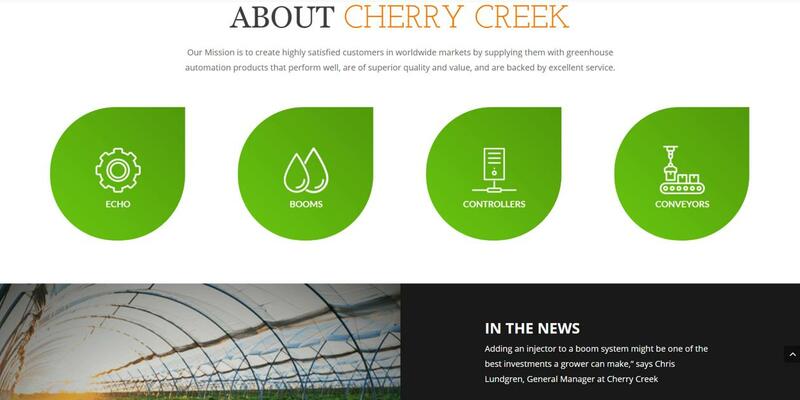 Always extremely professional and dedicated to giving their clients the highest quality products, Cherry Creek was a great company to work with. Initially we sat down with Walter, the sales manager for the branch, and went through a long list of functionality changes that needed to be made. For the design, we utilized our Branding Research tactics, helping us to produce alternate colors to complement their bold (though slightly overused) forest green, and really create a streamlined feel to the whole site. 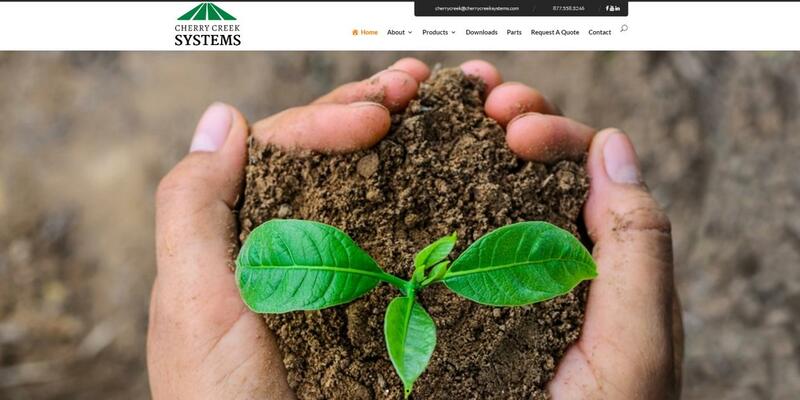 The new website is much more responsive than the previous one and we really like working with the team at Cherry Creek Systems on their overall online marketing.